We are running late! As usual.. After washing off the salt from a day at the beach, me and Nuria leave the house in a hurry to meet other friends. In the air there is a smell of bonfires, it reminds me so much of the winters in my childhood at my grandparents village. 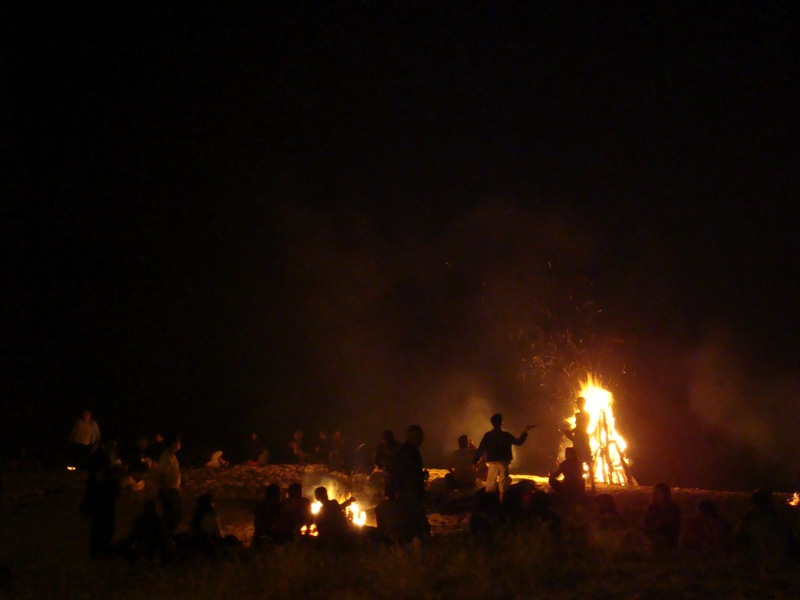 Tonight, families and friends gather together to celebrate the Saint John’s night around a bonfire. 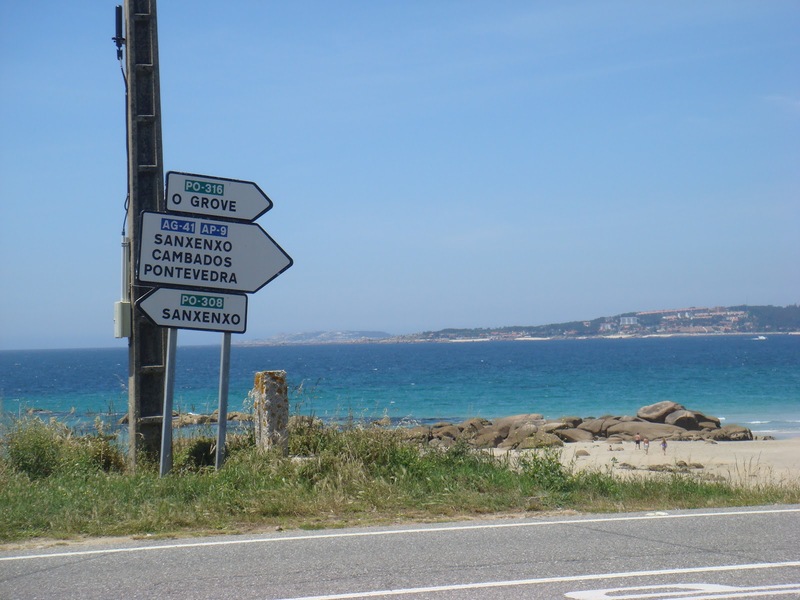 We head to the beach, Cangas, north of Vigo in Galicia. 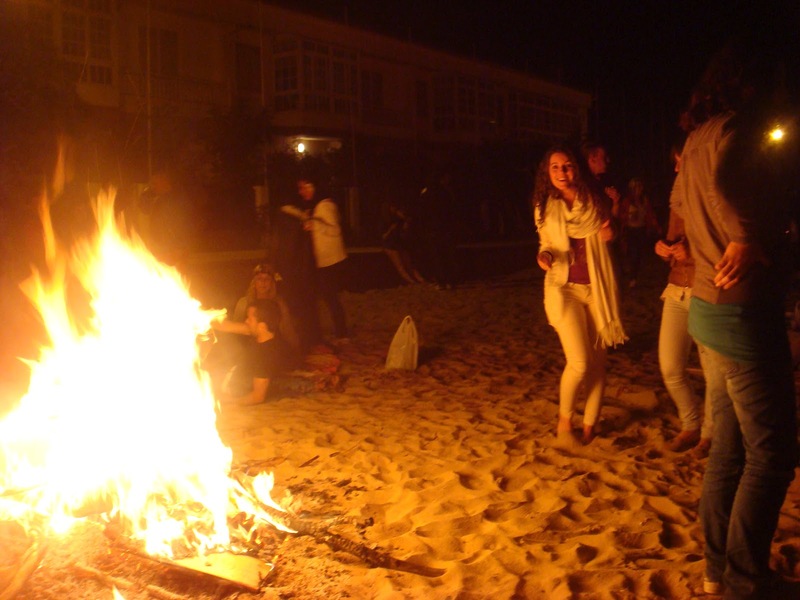 We walk through the beach looking for Nuria’s friend, he also has a bonfire. Pecadora lingua de muller casada cun home vello. A vos fago esta chamada! Participen con nós desta Queimada! The fire is put out and the little glasses are filled with this hot mix. 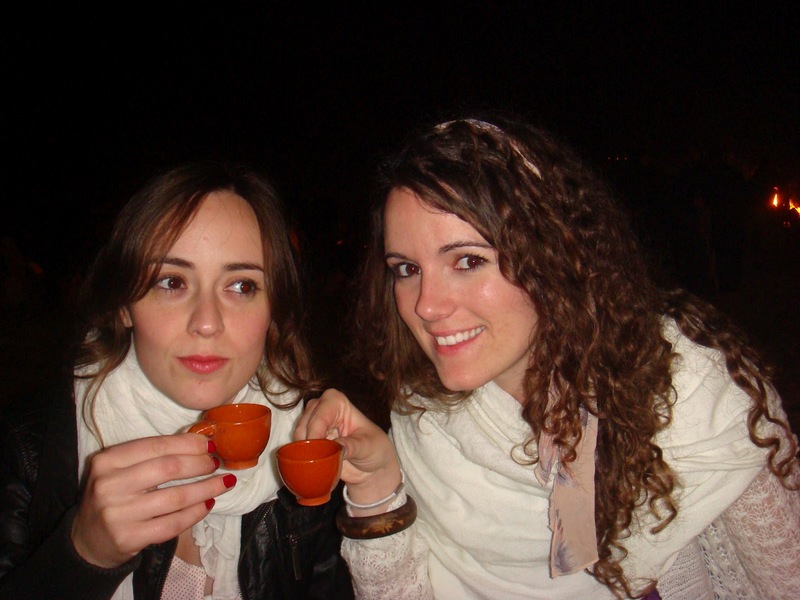 We cheer to this ritual which is said to protect from the evil spirits. 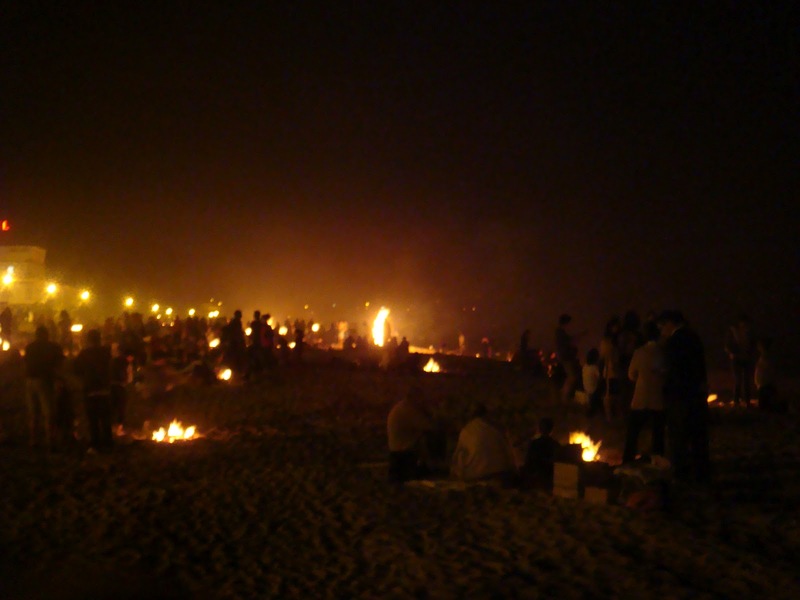 Tonight is about tradition and so tradition says you are to burn all the bad things of the year, in order to make the bad things disappear. So some people burn their school books! I throw a piece of paper in the fire on which I wrote a few things that I wanted to “burn”. Then I jump over the fire in hope that Saint John will make the bad things disappear like the fire made the little piece of paper turn into ashes, dust and nothing.